For the average organization, employee benefits can consume up to 30% of payroll. This spend is one of the largest on a company’s income statement. Yet, this area is often the least aligned with organizational objectives. Put simply, benefits are often not managed like a business. That doesn’t mean there isn’t thought or effort put into the construct. But it does mean that the processes used to manage a business are not found, or at least are not as robust, within the management of a benefits program. The result is a misalignment between effort and results as well as missed directed funds or, even worse, wasted cash. Without taking the time to determine a set of tangible and measurable outcomes, it’s impossible to accurately assess whether any program is working, let alone succeeding. 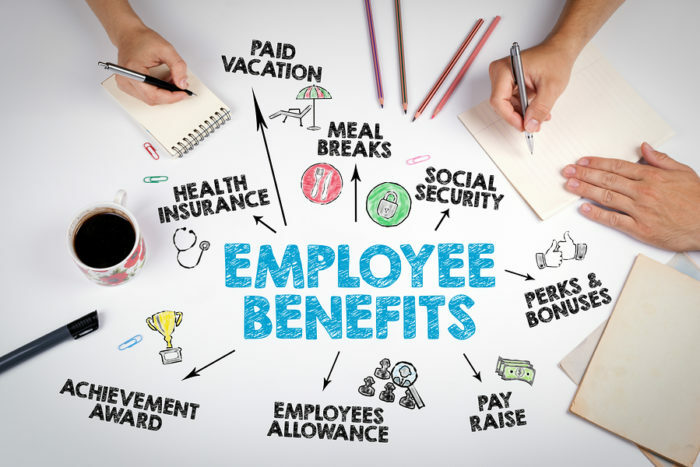 This is the first and perhaps the most critical step in running an employee benefits program like an efficient business. Work with leadership and stakeholders to understand what “success” looks like from multiple facets of the organization, then attach quantifiable figures to your goals. These goals should reflect desired financial outcomes, workforce engagement and enablement, and administrative efficiency so they align with total rewards and organizational targets. Once these expectations are determined, be sure to broadly communicate and socialize them. An effective benefits program is one that seamlessly integrates with your strategy since your workforce is the key enabler to that strategy. Benefits is often managed as a stand-alone program when it should be balanced with other total rewards efforts. For example, benefits may be less valued than other aspects of total rewards so efficiencies can be found within benefits and redeployed elsewhere rather than trying to optimize benefits isolation. Of course in some industries, benefits will be a primary focus, but spend will need to be optimized so it generates the most impact in recruitment, retention and engagement. Also, different segments of your population value different things so there should be some mass customization within your program. Loyalty — degree to which benefits influences employee loyalty and engagement. While an annual plan is sufficient for execution, a multi-year view is optimal for developing a strategy. Most organizations will not make disruptive but necessary decisions within a given year. However, if given a longer time horizon, they will take the necessary steps over a period of time. For this reason, setting goals 3-5 years out then developing a roadmap working backwards is most effective. This plan will ultimately include specific tactics that will lead you incrementally and directly to your target outcomes. The key is to move beyond what you want to do this year and think about where you want to be in the future. The capstone of an effective employee benefits program is consistent, critical evaluation of what’s working and what isn’t. A robust platform for quantifiable measurement and analytics is important for routine assessment of progress and will also help to identify actionable drivers of performance. This evaluation and measurement process should always compare back to the goals set at the start of the program, and the program itself should be flexible enough for real-time modification in order to correct areas of poor performance. The more frequently your organization can assess its benefits program, the better off you’ll be. You must also ask whether you have sufficient tools to provide you with, not just data, but information and knowledge. If not, build or buy them. For too many organizations, the annual benefits renewal is the moment that benefits planning and evaluation bubbles to the surface. Hasty assessments and changes are made in an effort to do better next year, and benefits continue to be viewed as a necessary evil, instead of a program that is working for the organization. To the organizations that place employee benefits somewhere in the middle or low end of their list of priorities, I ask: Can you think of any other part of your organization that consumes such a large portion of your bottom line and doesn’t already have a rigorous management process in place? It’s time to get smarter about employee benefits. Leo Tokar is president, Benefits Group – Mountain West for Lockton Companies. He leads strategy and financial performance of health & welfare, retirement and executive benefits practices, and can be reached by email at leo.tokar@lockton.com.